Outback Contractors, Inc. is now installing Drilled Displacement Pile's with grout injection where applicable. 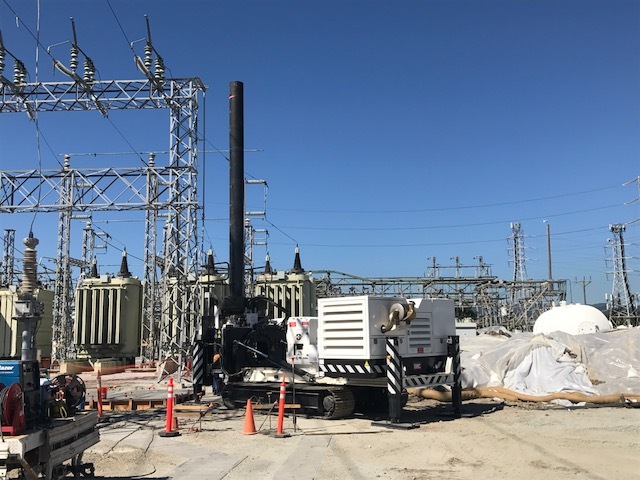 The Pile System is vibration free, low noise (under 80 decibels) which makes pile installation environmentally friendly. The Fundex TBX 45 is a very compact Drilled Displacement pile installation machine. 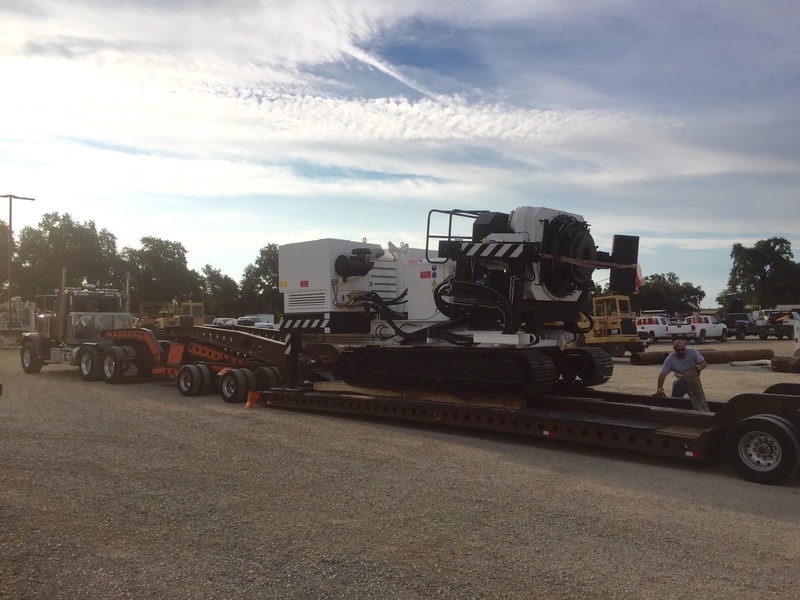 It can be transported on one truck and be assembled and ready to install piles in minutes. The TBX 45 is capable of 25 tons pull down force and 331,902 ft lbs of rotating torque. Project data is recorded and stored both on the machine and at an off site server. Each pile is given a number and all installation data is recorded. Crowd force, torque, number of rotation, pile depth, penetration speed, rotary speed, grout flow sensor, grout pressure, inclination X and Y. All this data is available to the operator so realtime adjustments can be made to insure the pile is installed as it was engineered. The TBX45RC data acquisition system record at + or - 1% accuracy. Continues real time graphs of reliant data are available to the operator during the installation of Drilled Displacement Pile. The data can be sent via e-mail directly from the TBX45RC via an onboard router. Trouble codes and faults immediately alerts both the operator and the manufacturer. This insures maximum up time. Pile file can be reviewed at a future date for similar scope projects. The GUHMA pile data reports are effortless to decipher and the color codes graphs make viewing simple. Foreman for the Drilled Displacement Pile System have over 20 years experience with grout injected piles. All of our operators and Foreman are certified Drilled Displacement Pile installers. Welders are all certified in structural welding with 6G and 2G certification. All welded joints will be done in accordance to structural welding code AWS D1.1-94. All ground men are trained in safe operating procedures in and around pile installation. All Outback Contractors, Inc.. employees are PG&E gold shovel and substation certified. Outback Contractors, Inc. is a signatory contractor with IBEW Local 1245. Outback Contractors, Inc. has a full line of pile tips and pile pipe on hand. This allows us begin a project immediately without extended lead times. Our pile tips are designed with a check valve to prevent plugging during pile installation. This insures free flow of grout when necessary. Check valves can be removed from tips and make the pile tips available for use with out grout. 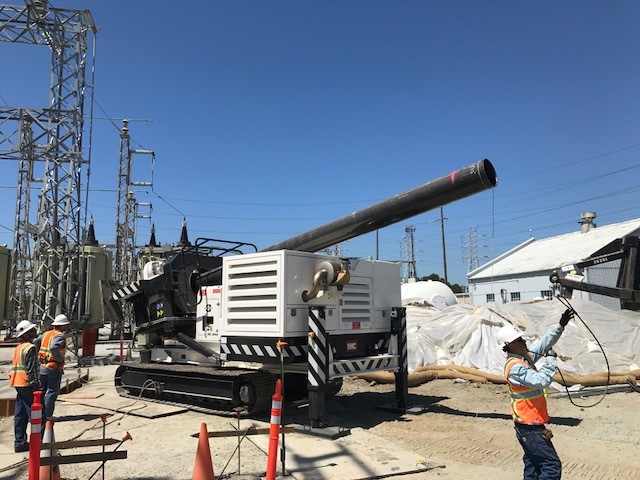 Outback Contractors, Inc. can install drilled displacement piles ranging in diameter from 12 inch to 22 inch. We have in stock tips to accommodate piles in diameter 12, 14, 16, 18, 20 and 22 inch.